The Internet is a vast place, with loads of information that can often be overwhelming. It would be an understatement to say that it’s the primary resource for research and getting work done. But don’t be caught off guard by its trickery. Although it can be a place of productivity, it also is a master at leisurely distractions that can eat up time you don’t have. StayFocusd for Chrome is among several great tools to help prevent these distractions from keeping you from important work. It won’t do you any good if you don’t set it up and use it, let alone have it disabled. Ultimately, you’re the one in control — not an extension. It can be a tool and asset, but not a solution. You can customize the StayFocusd options as much or as little as you’d like. Even with the default settings, it can help you be productive. Below is the dropdown window in Chrome which displays the website you’re on, time remaining (which you can adjust in the settings) and advanced options such as blocking or allowing a custom URL. The first option you should become familiar with is Maximum Time Allowed per day. Be sure to set this time accordingly as you cannot change it once the time has run out for that day. The next option is which days StayFocusd should be active on. Note that you cannot change it from the day you’re on so if you don’t want it to be active the next day, uncheck it the day before. This is helpful if you only have certain days that you work, especially if you install this on a work laptop which you take home, but don’t always use it for work. Active Hours will only apply to the active days which you’ve previously set. At default it’s set to for the entire day, but if you want to restrict 10 minutes of leisurely browsing to the hours you work and not be restricted the rest of the time, be sure to adjust this setting accordingly. Note that once changed, the changes won’t take affect until 24 hours from the time the change was made. Daily Reset Time is another helpful feature if you work odd hours in the day. Just like the other settings, changes made to this will not take effect until 24 hours from the time changed. Here’s where we make all of the magic happen. 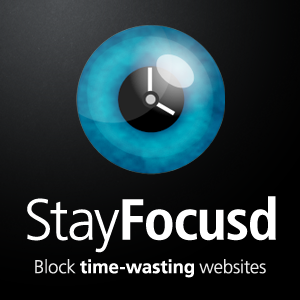 Actually, it’s just where you block websites, but the way StayFocusd works is pretty magical. Like the rest of the pages, the instructions on the settings page are easy to understand and follow. 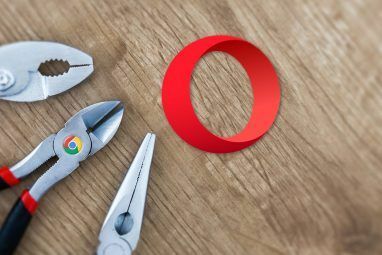 Simply start adding websites the way you’d type them in any modern browser. However, if you were like me, you stopped at just a few websites that you could think of. You know there are more that you look at and waste time on, but just can’t think of them. Luckily for you, StayFocusd has done some of the work. If you click on the link “Check out this list” next to the question about suggestions, you’ll be presented with a list of popular distractions across the web. Simply click the “+” to add them to your block list. Note that not all of the sites are pictured above (e.g. Reddit or YouTube aren’t shown in the image, but is on the list), so make sure to check out the complete list. Another option on the Blocked Sites page is The Reddigglicious Option which is a combination of words from three common timewaster websites: Reddit, Digg and Delicious. The concept is that often times we aren’t on these websites, but are on websites with links to them. This is a must-have feature for people with CHS – Click-Happy Syndrome. I’m one of those people – where I will just click on a link without even thinking about why I was on that page. Perhaps I was even on the page for a legitimate and productive reason (which happens to me all the time and I will touch upon that in a bit.) So as the image below states, this feature works by continuously running the timer while on webpages that even though they aren’t on the blocked list, contain a link which is. This isn’t a mandatory setting to use, however if you want to ensure that the timer doesn’t use up your time on certain sites, you must add them to this list. This setting is insane, hence the word “nuclear” in the name. The image below is pretty self explanatory, but just use caution with this as many times you might forget about websites you use on a daily basis, such as webmail. Be sure to add these sites to your allow list (although this can get tedious if there are a lot or you don’t have a specific set of websites which you use). 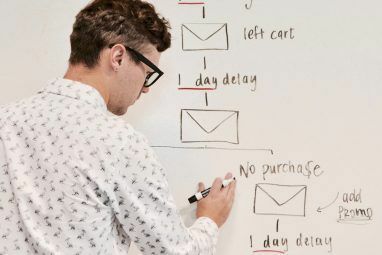 This feature can be quite beneficial if used appropriately – just make sure you completely understand how it works so it doesn’t actually inhibit you from accomplishing work. What about just changing settings? Well, if you don’t trust yourself you can enable this option, but I warn you – you better have 100% (no less) typing percentage, meaning no mistakes, otherwise you could become quite frustrated. The strategy behind the challenge is that changing settings for your own convenience will be extremely difficult or impossible, or at least an inconvenience to say the least. Below is a preview of what you would have to complete before altering any settings if this setting were activated. Note: you can see this exact preview by clicking the link “Click here” next to the question asking if you’d like to test the challenge before you turn it on. Can I customize any of these settings or features? Are there more features? I thought you’d never ask. The answer is yes to both. In the first image below, you can see features such as Sync, Popup, Infobar, and “Are you still there?” overlay. 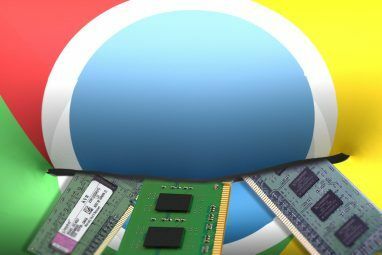 You may want to disable sync if you use Chrome Sync between two computers, such as a personal and work computer, but don’t want the same StayFocusd settings or even the extension itself on your personal computer and only want it on your work computer. I find this option rather beneficial. The other options in that image are pretty self explanatory. Other options on this page are customizing the notifications that StayFocusd prompts you with and also adjusting the text for the challenge. These aren’t really weaknesses of the extension itself, but just areas to be aware of that the extension is limited. I fit in this category as well as a lot of people working in tech, research, writing, journalism or a combination (and probably other areas too). We often use “timewaster sites” to help us in some way: check Facebook for an update on a company’s status, contact a company through Twitter regarding a problem, search YouTube for a video to use in an article, or just scouring the Internet for ideas or research. How do you separate the two? First, you can still add sites you know you won’t be using and are likely to be distracted by to the block list. Also, there are some settings such as specific times/days that websites are blocked. However, that still leaves lots of time to be distracted by potentially helpful, but also distracting websites. I can’t count the times where I’ve gotten on Facebook to do something productive and found myself distracted. In fact, that may have even happened while writing this article, since I logged on to use Facebook as an example in one of the first images. In the end, StayFocusd is an excellent tool to use. Just remember that you have to still be disciplined, however, StayFocusd is great for keeping you off websites and reminding you what your real purpose is at a computer. Below are a couple of articles which have tools similar to StayFocusd (one even features it). Download and Install StayFocusd at the Chrome Web Store and stay informed with updates from the Twitter account (@StayFocusd). What do you think of tools like Stayfocusd for Chrome? Do you use one, perhaps this one, yourself? Do you have any concerns or have you found it to be beneficial to your productivity? Share your thoughts in the comments below! Explore more about: Google Chrome, Procrastination, Time Management. This looks like a great option in my home IF it can be applied differently to different users on the same device. Any info on that available? Very useful until I discovered that it doesnt work in Incognito Window... also not useful at all. Even when you grant it access to work in Incognito Mode? It does work! You have to change the settings to allow the extension work in Incognito: Settings -> Extensions -> Check the box "Allow in Incognito"
I should have known this app during my college years. Very useful article. This is really good application for time management. Thank You MUO !!! Very useful, I think it is useful for everyone. Is it better than K9 web protection ? Thanks! I'll have to use this when I have final exams! hahah amazing. And guess what... i already said about the author (Aaron) that his posta re long and just when you think they are finishing, they just won't. And while readin the article; in the middle i got the idea it has to be aaron and no one else.... LOL i was right :) Keep it up aaron. Nice article again! My dream is atill an app with restrictions based om the time of the day. Some restricted during working hours and other, working related, restricted at the free time of the day. Doesn't the "Active Hours" feature of the program accomplish exactly what you describe?